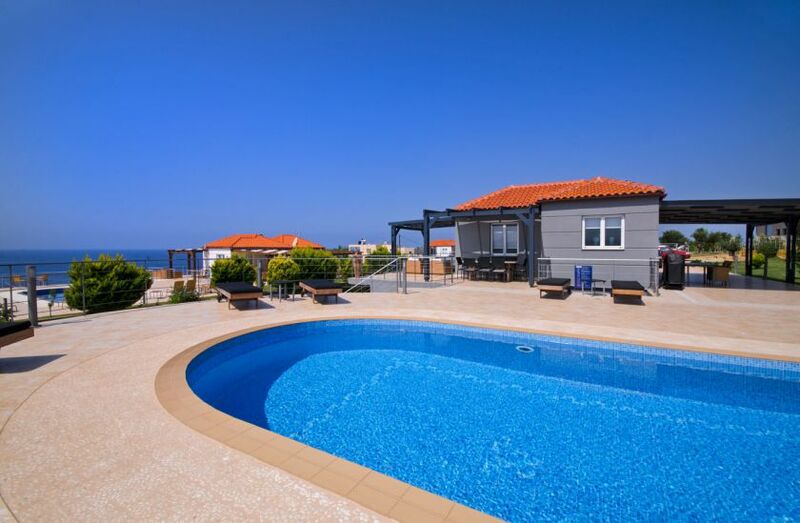 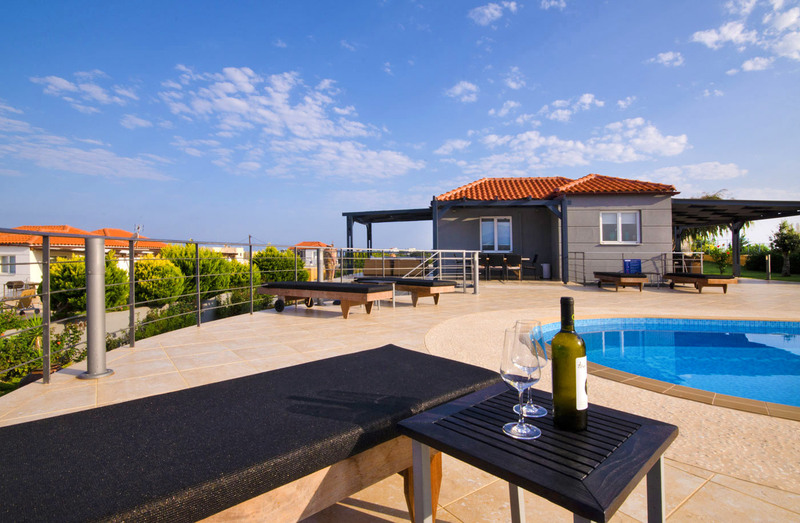 Villa Alma in Tersanas, Akrotiri is a most lovely, seafront 5-bedroom Villa with a private pool, on a small cliff next to the sea, 1300 meters from the lovely sandy beach of Tersanas. 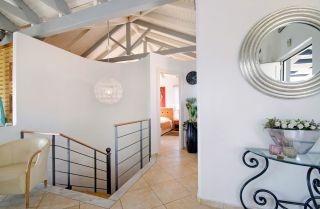 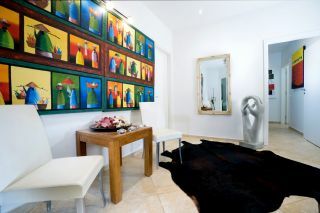 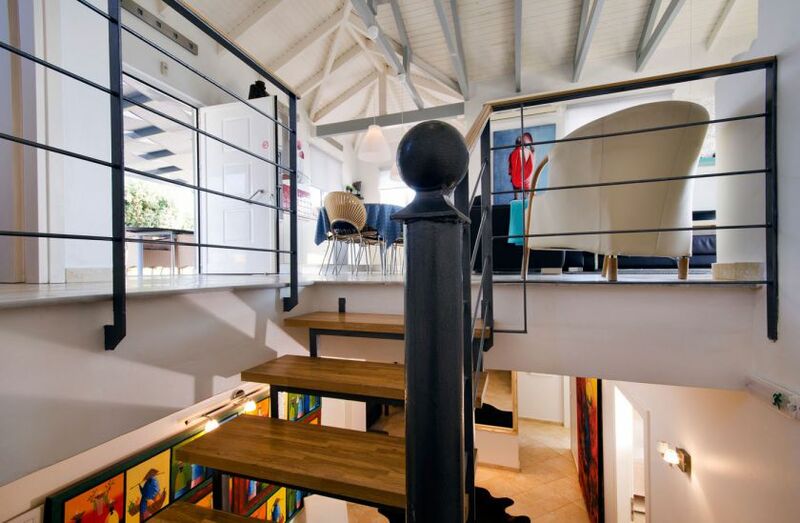 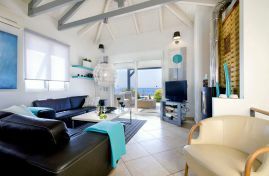 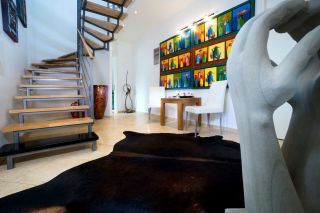 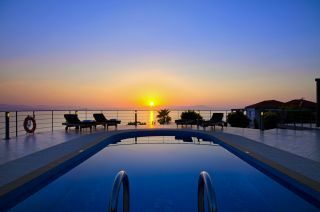 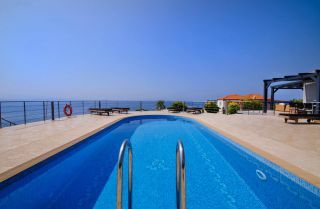 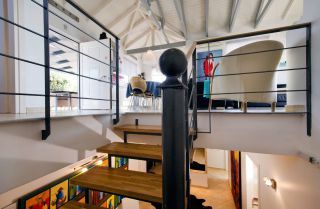 It is located 13 km north of the romantic town of Chania. 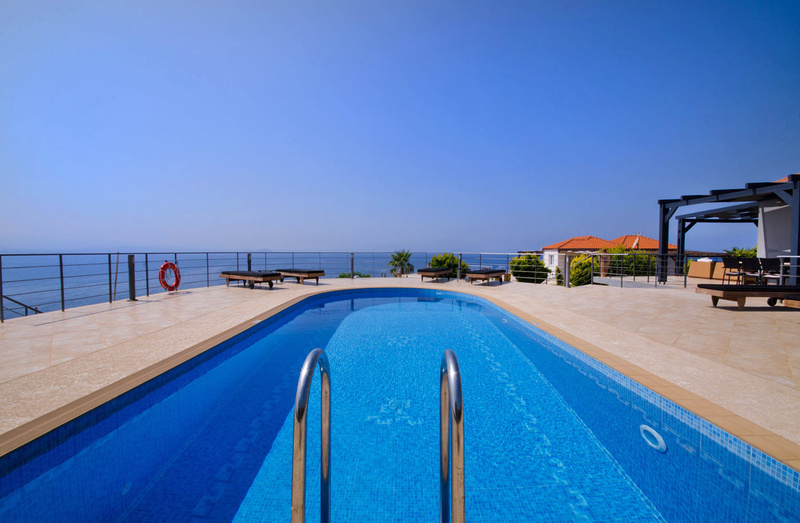 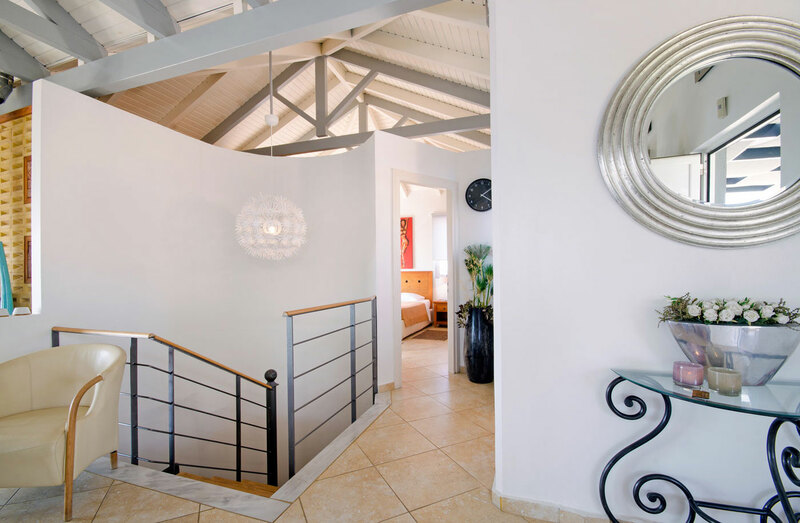 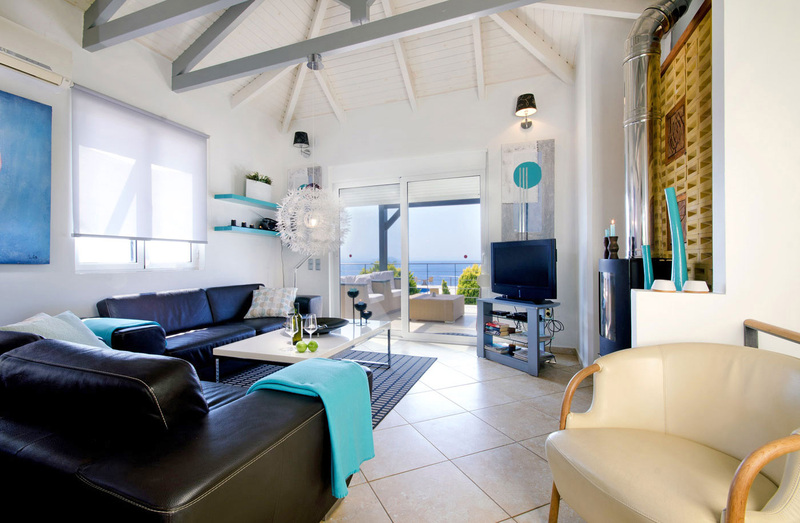 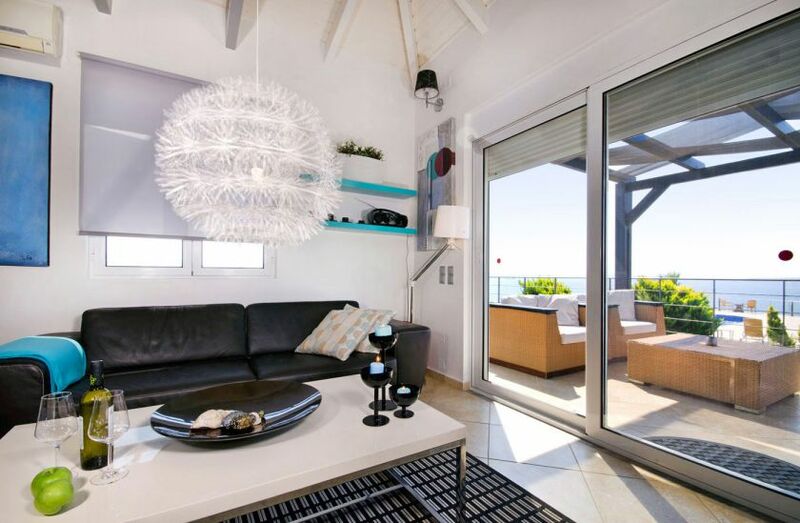 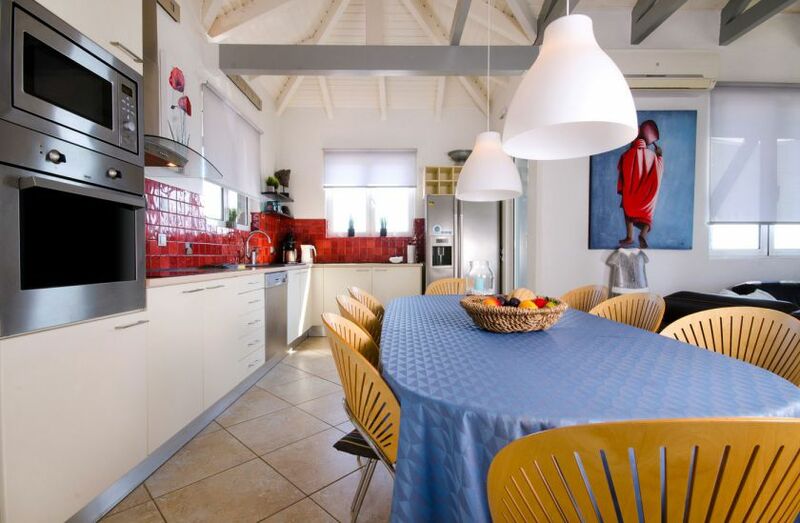 The luxury Villa offers a spacious, sea view, open plan living room with a fully equipped kitchen and a dining table, four bedrooms with en-suite bathrooms and another new bedroom with two single beds, and a lovely private pool with sea views. 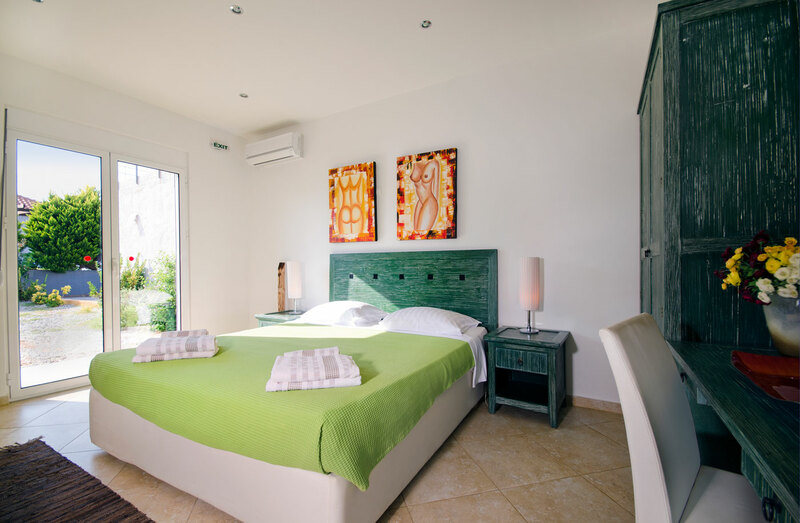 The master bedroom with an en-suite bathroom is offered on the ground floor. 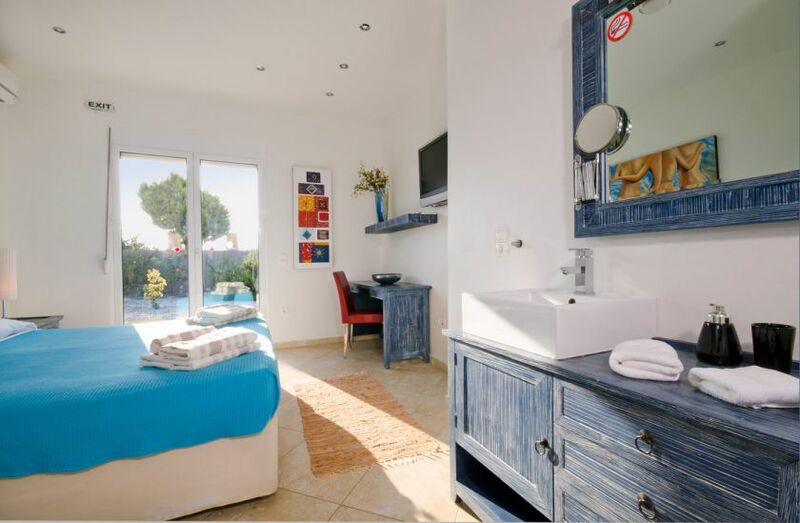 Two bedrooms with double beds and en-suite bathrooms, one bedroom with two single beds and en-suite bathroom, and one bedroom with two single beds are offered on the lower floor. 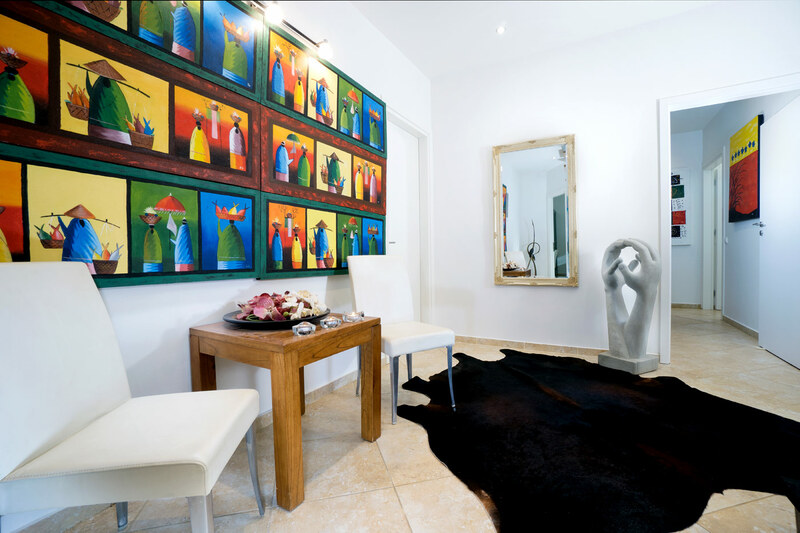 A door leads from the open plan living room to the sea view courtyard and the pool area with a few sofa beds, exterior sitting table, a coal barbecue and sun loungers. 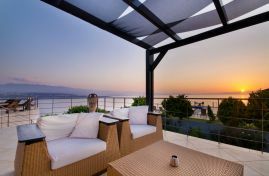 All guests can enjoy two shaded dining spaces under the pergolas, while a private outdoor parking is provided outside. 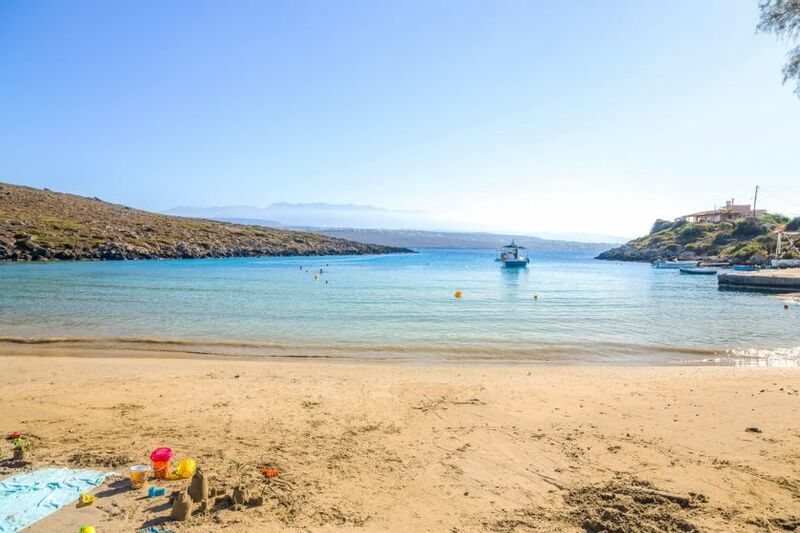 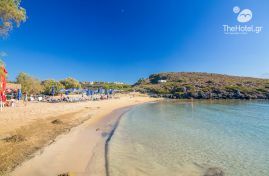 Tersanas is a quiet village with a lovely, sandy beach in a small bay and a seafood restaurant next to it. 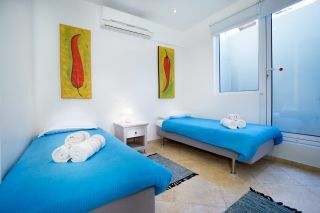 It is an ideal place if you want to do unwind and relaxing holidays, next to the sea. 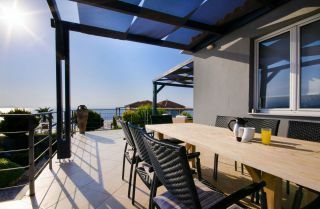 Cafes and a tavern are provided in the center of the village. There are also many beautiful sandy beaches in short driving distance (Stavros at 3 km far, or Kalathas at 4 km far).